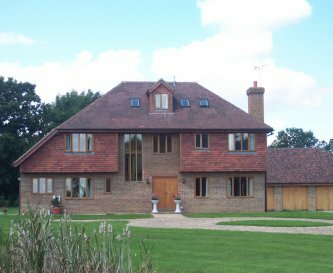 Wood View Farm, High Halden, Tenterden, Kent, sleeps 8-40 in 19 bedrooms. A hidden gem in the countryside, Wood View Farm is a 5 acre pop up glamping site, with bell tents available separately or together. 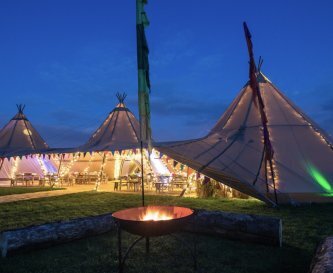 Offering a relaxing experience, wildlife, countryside, fresh air and lots of space, this glamping site is ideal for a family trip, birthday, group reunion, chilled hen or stag do, events and weddings (up to 120 guests for the event) and as a great base for days out to the many local attractions or somewhere to return to after a night out. 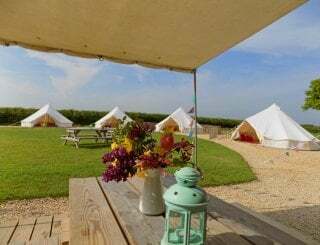 Suiting couples, families and groups, you can book individual plots, each with its own private space, or sole use of the site. Communal living space and catering can be available on rerquest. 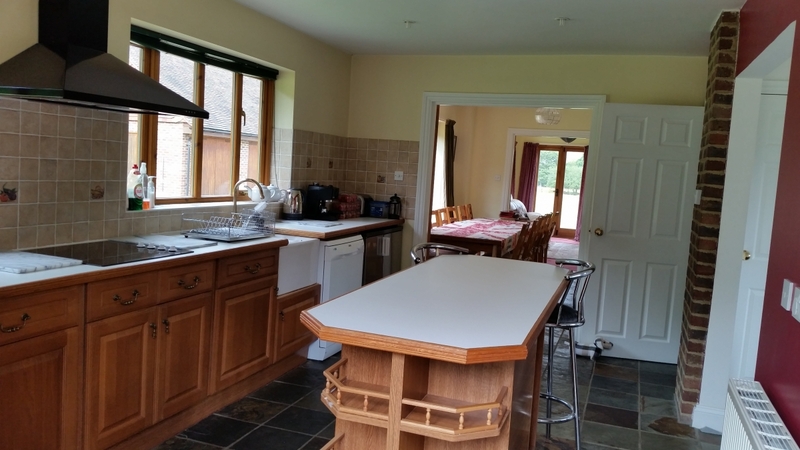 There are basic on-site kitchen facilities, toilets and shower as well as parking and WiFi. 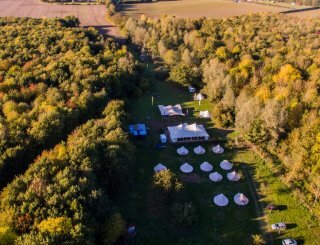 We are not a specific music venue, and usual campsite rules apply, so please ask about suitability of this venue for your group. 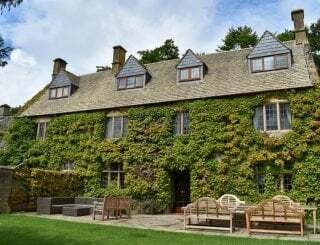 Additional accommodation is available in a Tudor-style farmhouse with 7 bedrooms and an annex sleeping 20 (and up to 30 if required) with dining rooms for 16 and 8. 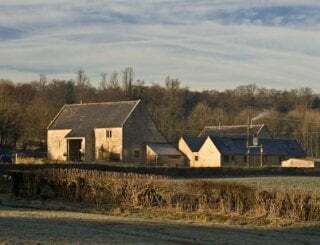 In a beautiful rural location, the house is attractive, modern, private, light and spacious, and has great views of the surrounding countryside, plenty of parking, one acre of lawned gardens (mostly unfenced) with a pond (unfenced). There are 2 patios, with plenty of outdoor seating, barbecue and childrens' area. Surrounded by its own fields. 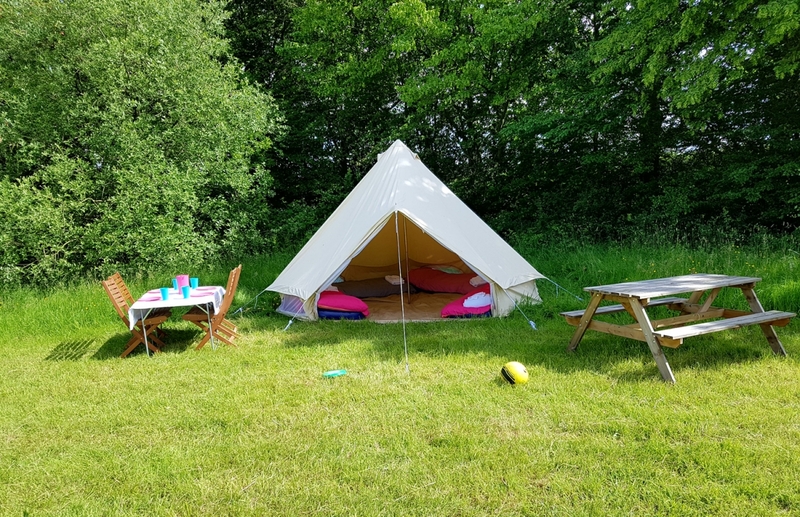 For groups wishing to combine the farmhouse and glamping, tents can be put up in the gardens of the farmhouse, making this perfect for multi-generational family groups. 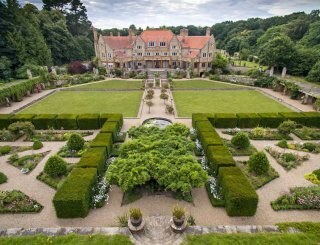 This is a very popular tourist area, with a huge range of local attractions for all ages and tastes, from vineyards, breweries, steam trains, castles, gardens, historic towns with good shopping and great and varied places to eat and drink. 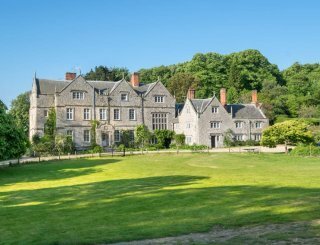 Also many more active pursuits, such as walks, cycle rides, Go Ape, archery, quad bikes, clay shooting, local golf courses, fishing lakes. Or just relax and watch the wildlife! Basic covered kitchen with shared dining, fridge, freezer, washing up, limited power to charge your equipment. Farmhouse has all facilities. 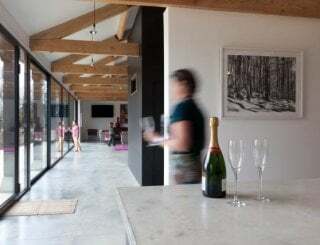 Group of 40 can dine in a central area or by the fire pit/barbecue area, or dine privately at your own accommodation. Farmhouse dining for 16 and 8. Room to lounge in or around your own area, or group areas, around the fire pit barbecue or dining area. Farmhouse has large sitting room. Relax and chill but we do not have TV and or music, you can of course listen to personal devices on your headphones. Farmhouse is fully equipped. WiFi is available, mobile phones work intermittently, signal for both can be weak. Farmhouse has its own WiFi. 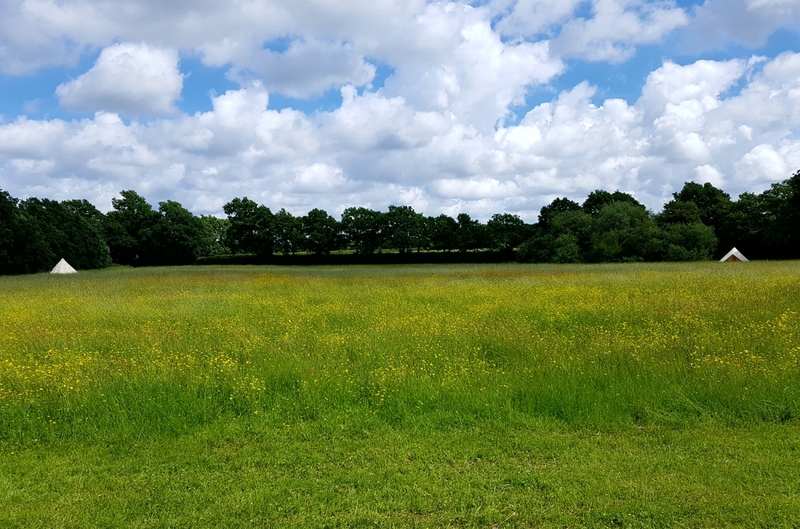 5 acres of open field! Farmhouse has football table, lots of toys and games to keep you occupied. Fire pit in the dedicated area. Farmhouse is fully central heated. 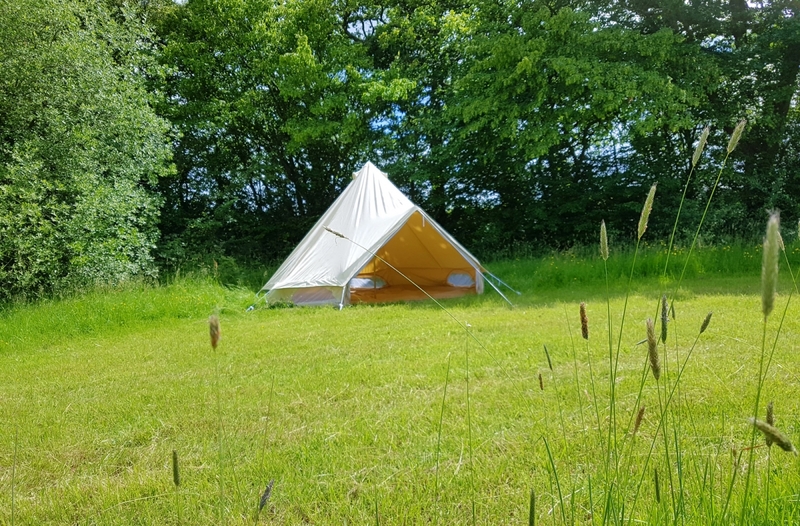 Bell tents sleep up to four each, can incl airbeds, sleeping mats, linen and towels, as arranged on booking. Farmhouse has 7 bedrooms, annex 1. Shared toilets and limited number of daytime use hot showers. 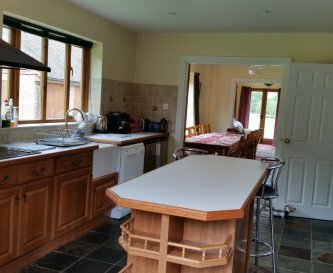 Farmhouse has five bathrooms plus WC. 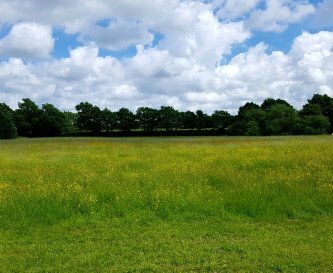 Glamping meadow not suitable for disabled due to being farmland and the site being a pop up site. High chairs, stair gates, playpens. Plenty of space and wildlife to explore. 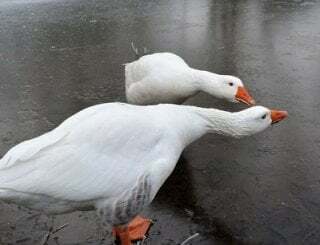 Keep careful watch - we have ponds and are close to working farm. Barbecue and fire pit areas, space around each accommodation, 5 acres! No fireworks. 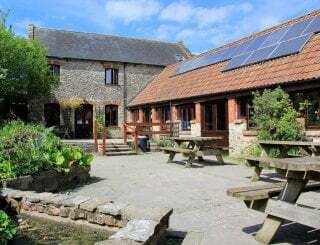 Farmhouse: barbecue, plenty of outside seating, large garden. 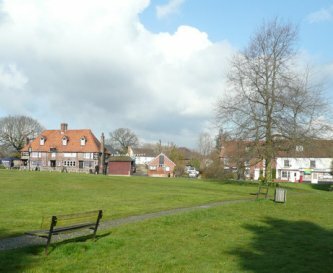 Close by in Tenterden there is an excellent leisure pool. Plenty of parking on site in designated areas. 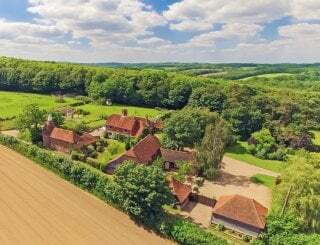 Rural location near Tenterden with easy access from London. 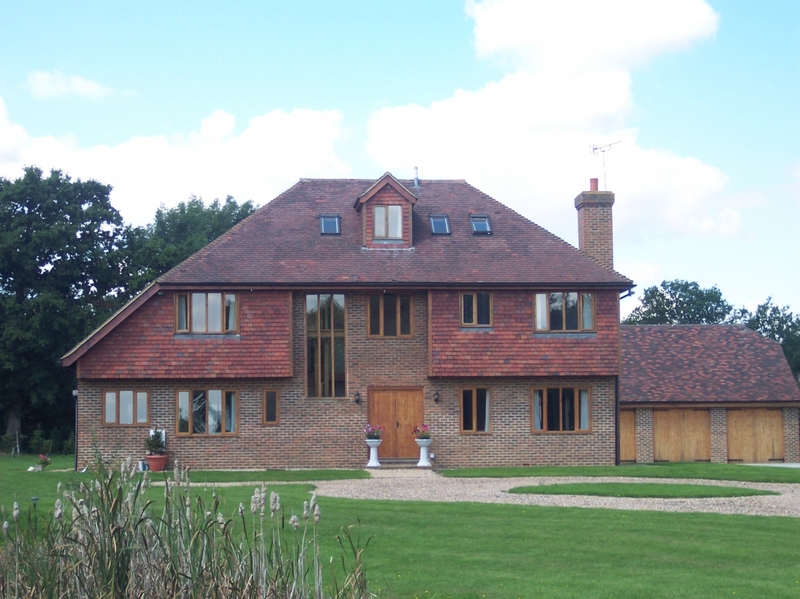 Close to North Downs and High Weald AONB. 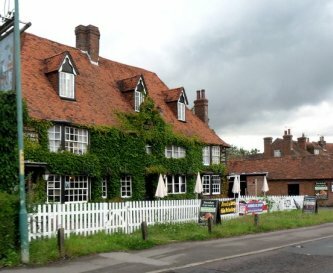 High Halden Chequers and Raj of Kent Indian, both 1.5 miles. 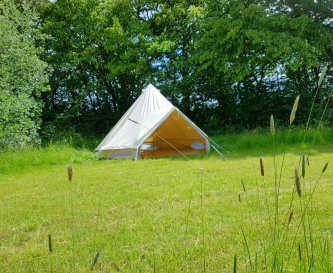 Glamping Accommodation only:Use our accommodation; use your own bedding and equipment. 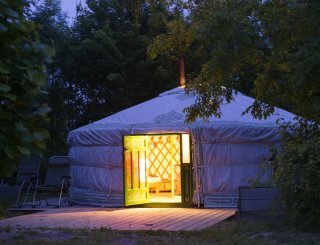 Glamping Full:We provide airbeds, bedding, towels and limited equipment. 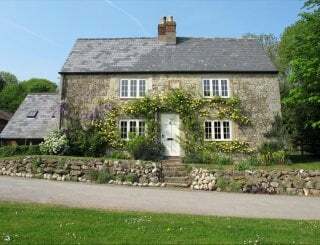 Farmhouse:Fully equipped incl bedding towels and more. All accommodation is self catering. 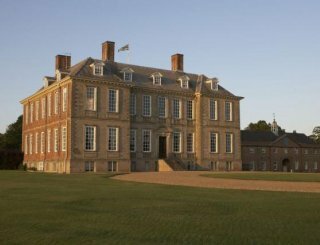 Security deposit £100 per tent or FH £200. 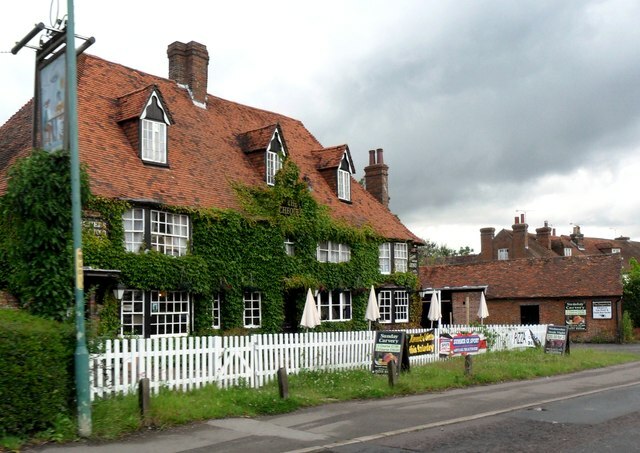 Pluckley, Headcorn, Ashford International - between 6 and 10 miles. 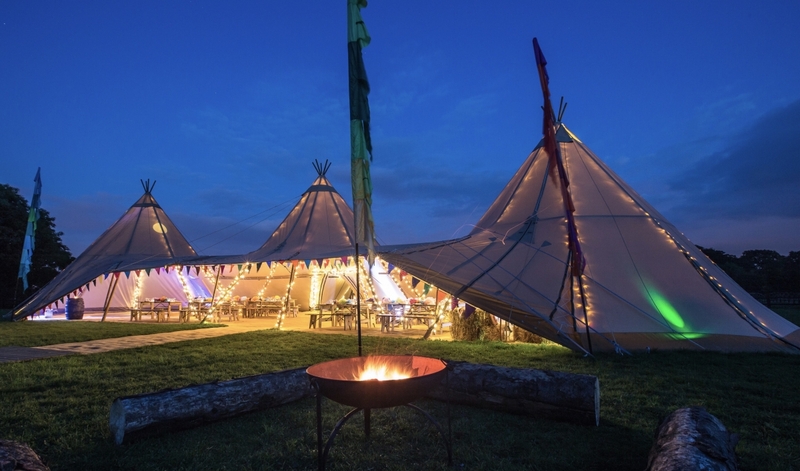 Glamping June 7th and 21st Weekend : 2 nights: Equipped: 12 guests £799, 60 guests £3995, erected tents only 12 guests £576, 60 guests £2880. 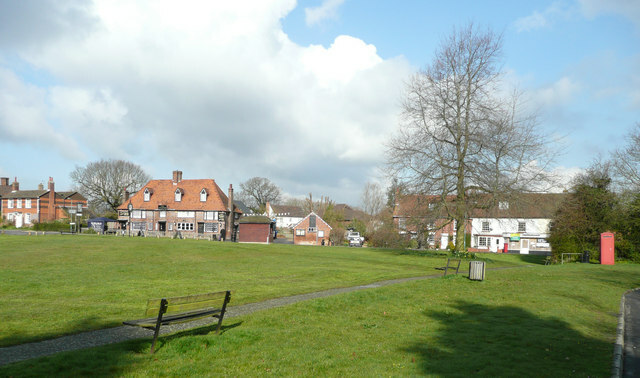 Camping pitches 12 guests £288 60 guests £1440.